Talk with a Lucas Tree Expert about how we can help you. Maine is no stranger to inclement weather that results in widespread property damage and power outages. When a major storm strikes, it typically leaves a trail of widespread destruction in its wake. From Nor’easters and hurricanes to blizzards and ice storms, disaster can show up at anyone’s front door during any season. While Nor’easters normally occur during the months between November and March, they can happen at any time of year. Blizzards and ice storms also wreak havoc during the same long cold stretch, making New England winters some of the most dangerous in the country. Soon after the weather warms up, hurricane season begins—and lasts from June until November. The damage caused by hurricanes such as Andrew, Katrina and “Super Storm” Sandy cost the United States billions of dollars in repair and recovery efforts. The trend appears to be moving toward more violent weather every year. For this reason, it is important to know the best ways to prevent damage to your property before disaster strikes. Just as importantly, you should know your options if an emergency does occur, and who to call for storm damaged tree removal or downed power lines on your property. We know that bad weather doesn’t just occur during regular business hours. That’s why Lucas Tree Experts launched StormLine. StormLine is a 24-hour hotline available during major storms for homeowners and businesses located in coastal regions of Southern Maine and as far west as South Paris between Kittery and Augusta. We have over 65 bucket trucks dedicated to emergency tree removal, a log loader for large trunks, a full crane operation for removing trees from houses and cars, and chippers for clearing any leftover debris. To know when our StormLine Team is on call, simply visit on the Lucas Tree Experts home page and look for the StormLine alert. If the alert is on, we have the highly trained personnel and specialized equipment that can help you in a storm damaged tree emergency. When you have storm damaged trees, who do you call first? 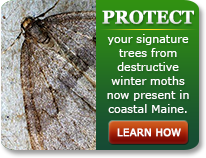 After a storm, our customers might wonder who they should contact first—Central Maine Power (CMP) or Lucas Tree? That answer depends on the type of damage that has occurred on your property. If a power line is involved, CMP should be your first call; they will need to come out and clear the hazard trees off affected lines. CMP will take care of the minimal limb removal required to eliminate any imminent danger. Once this is done, Lucas Tree is ready to take over to get your yard back into shape quickly. Since we first opened our doors for business in 1926, Lucas Tree has grown to be one of the most highly trained and respected workforces in New England. Our company has worked hard to build a reputation for safety. Even if you think you can handle the removal of storm damaged trees on your own, no amount of money saved is worth putting yourself or your loved ones at risk for personal injury. Taking down trees of any size and cutting limbs is an exact science, and it is a task that requires a team of professional tree removal experts in order to safely execute any storm damage removal. Too many injuries have occurred and lives have been lost when people without this kind of specialized training have attempted to clear trees and limbs by themselves. Please don’t take that chance; call Lucas Tree Experts and stay safe. The best protection from damaging storms is preventative tree maintenance. From professional tree removal services to repair for diseased trees and risk assessment, Lucas Tree Experts will make sure your trees are as healthy and sturdy as possible so they are able to weather any harsh conditions. And while it is impossible to decipher the unpredictability of the natural world, our hands are adept at repairing its ailments. In the timeless words of Emerson, “Nature is a mutable cloud which is always and never the same.” Handling the curveballs that Mother Nature throws us with unflinching confidence is our specialty—and we’re always up to meet the challenge. 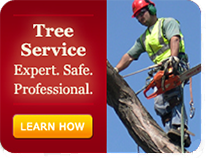 When a big storm hits, call Lucas Tree Experts StormLine Service 207-797-2800 ext. 3005 for the removal of storm damaged trees and limbs. Look for the StormLine alert our home page and know that we are on-call and ready to help you if you need us.